Please visit Patter's blog HERE so that you can read her thoughts about this fortnight's word - ANXIOUS. This is a teaching I need to be taught over and over. I always seem to slip back into being anxious over little things. 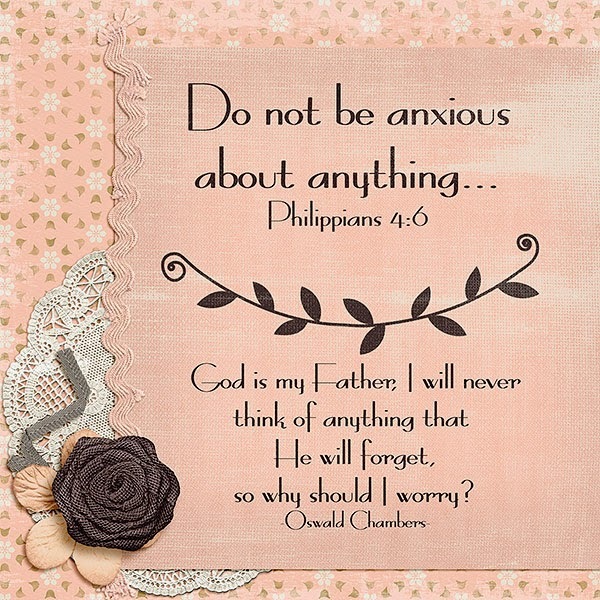 The morning after I read Patter's teaching on this, God wanted to give me a gentle nudge as in the Daily Bread reading my Husband and I do each morning at breakfast the words by Oswald Chambers were shared that I have used on my digital artwork. Wonderful layering, and I just love the quotes.